The 2018 4910LR Promo is Back! Baked goods, holiday decor, hot cocoa and sparkling lights. The air is getting colder, UPS drivers are working overtime, and there are carols playing everywhere you go. L-Tron’s 2018 4910LR promo is back! 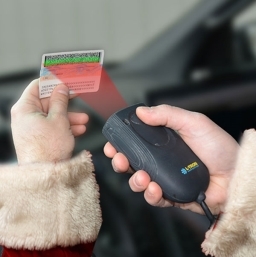 For the past few years, we have offered our customers some great promotions on our popular 4910LR driver’s license reader and this year’s promotions don’t disappoint! But act quickly. These specials are good through December 31, 2018. Receive a $25 instant credit on any new 4910LR by trading in an old driver’s license reader. Receive one (1) free 4910LR Magnetic Mount with the purchase any new 4910LR at contract pricing, by trading in an old driver’s license reader. Receive one (1) free Magnetic Mount with the purchase of five (5) 4910LR units purchased at contract pricing. If you’re reading this blog and don’t quite understand why 4910LR promotion time is such a big deal, maybe these fellow police officers can convince you. In short, the 4910LR captures barcode information on driver’s licenses and vehicle registrations so officers can populate reports instantly, spending less time on the roadside and more time on patrol. The 4910LR has image capture capabilities, allowing Officers to use the scanner to capture a quick picture of a license plate, road sign or vehicle. They can add this photo into their reports, so there is never a question in the courtroom. https://www.l-tron.com/ecitation-resources is the place to visit if you want to learn all the details about the 4910LR, how it works, and all of its benefits. We would also love to talk to you. Contact us with any questions!